Attendees to the DIY workshop use vintage teacups as pots for their succulents. 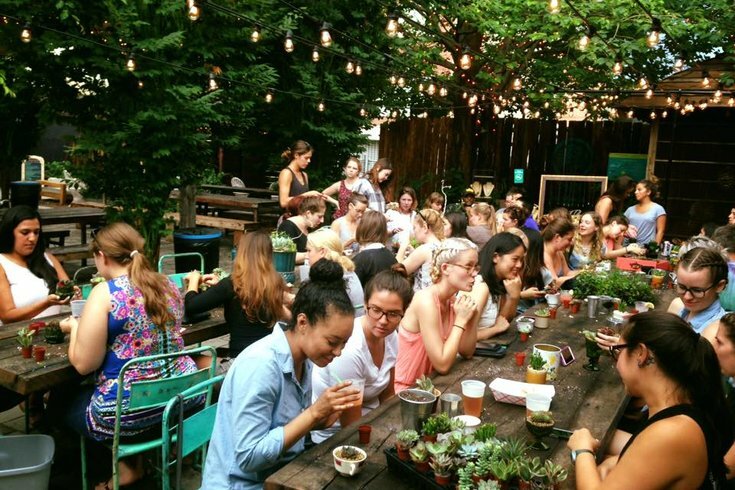 The Pennsylvania Horticultural Society's pop-up South Street Beer Garden will host another do-it-yourself workshop on Sept. 21. Attendees will create succulent plant arrangements while grabbing a drink or two with friends. All workshop supplies will be provided, including vintage teacups to use as plant pots. Tickets for the event are $10 per person. DIY workshops at South Street Beer Garden tend to sell out quickly, so getting a ticket early is a good idea. The event will take place rain or shine.